As if that isn’t enough, a study recently published in the journal Nature Geosciencerevealed that carbon emissions are now the highest they have been since the age of dinosaurs, 66 million years ago. According to the study, the current pace of emissions is even beyond the highest-known natural surge of carbon that exists in fossil records, an event that occurred 56 million years ago that was believed by many to be caused by the release of frozen stores of greenhouse gases from the seabed. Dozens of countries across Europe and Asia set or tiedall-time temperature records, and cities across the United States saw record warm temperatures, in which the 2015-2016 winter was the warmest ever recorded. Making matters worse, a group affiliated with the UN recently released a studyshowing that an ongoing decline of pollinating species now poses a very dire threat to the global food supply. The report warns that the species responsible for pollinating and promoting the growth of hundreds of billions of dollars worth of crops are facing extinction. Global rainfall extremes continue to be elevated by ACD. 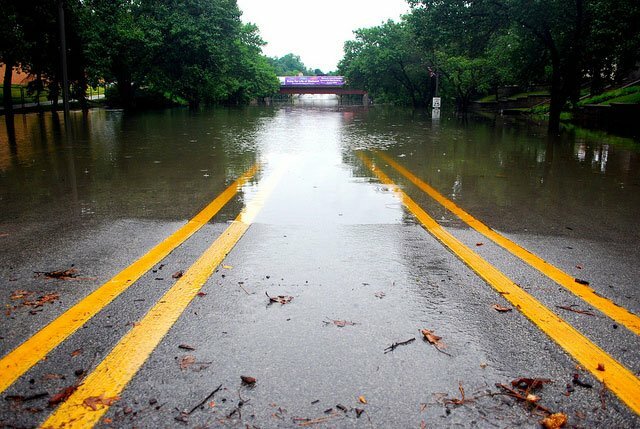 A new study published inNature Climate Change basically warns us to get ready for rain, and lots of it. The study shows that ACD is already driving increases in rainfall and snowfall extremes around the world, even in arid regions. This trend, according to the study, will continue, and likely amplify further.